Dairy giant Fonterra's increased the number of job cuts announced in its current business review, saying it's now losing 750 jobs - up from a previously announced 523. Fonterra chief executive Theo Spierings said the purpose of the review was to ensure that Fonterra "remains well positioned to compete in a rapidly changing global dairy market". 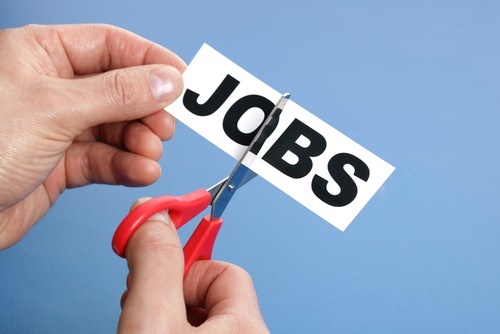 The announcement of the increase in job reductions comes ahead of Fonterra's annual result announcement this Thursday. The co-operative will finalise its milk payout for the previous season - expected to be $4.40 per kilogram of milk solids and might update its forecast for the current season, which stands at $3.85. However, since that forecast was made there has been a significant improvement in global prices. Spierings said one-off savings generated by changes Fonterra is making during the business review, such as improving working capital, "have already enabled the Co-operative to support our farmers during challenging market conditions". "The review is an on-going process that looks at the entire business to identify potential areas where the Co-operative can find more efficiencies and improve future performance. "This has included a reduction of roles across the Co-operative which to date totals 750 roles. “We have great people, but we have to make tough decisions to ensure Fonterra remains competitive in this environment. We will continue to fine-tune our organisation to ensure we best support the initiatives identified by our business review,” Spierings said. Back in July Fonterra said it was cutting 523 jobs and said that this would save $55 million to $60 million a year, with the affected staff due to start leaving this month. If payout wasn't looking at sub $5, would the review have happened? Was told of a company that moved from Auckland to Hamilton. Productivity improved 45% and the company put that down mainly to people not spending so much time commuting. They would struggle to find the people willing to shift to Hamilton. Still don't understand why a fast rail link does not exist between the 2 cities or on the plans? Phenomenal cost, low demand. For some reason they don't want to assign those on the dole 10 hrs per week of work duty building the rail / raising funds to buy out the properties in the way. The railway line already exists? sorry, when you said fast rail link I assumed that you meant high speed rail. We already have an Auckland / Hamilton rail services, it takes about 2.5 hrs. Double tracking would significantly speed this old rail service up, but for realistic daily commuter times you'd want a high speed rail system as opposed to the ancient heavy rail system we have. Maglev is trending at the minute. To build this economically the best way would be to get 10hrs "volunteer" work per week from those on the dole. You can't be serious - you would have unqualified people from the dole working on constructing a high speed rail line each giving 10 hours a week? I think it's a bit more than just show up for 10 hours a week and hey presto we have a rail line built. trading houses, very well paid and better than having a 9-5 job! FFS share price up from $4.6 to $5.1 in less than 2 months - an annualized return of 60% -- not bad. "remains well positioned to compete in a rapidly changing global dairy market". could these changes include the seemingly Ag policy drums beating with the faltering No. 1 WMP buyer. In his speech to the corn conference, the NDRC official suggested that China intends to move away from interfering with farm prices while experimenting with measures to regulate the flow of imports. Support for farmers will be decoupled from market prices by moving to "target price" subsidies once experience from pilot programs has been evaluated. Instead, officials intend to shift their heavy-handed tinkering to imports. The NDRC official called for a "global vision" on food security which entails "coordinated" use of domestic and imported resources. He offered a number of vague principles for "managing" imports, making them more predictable and stable, diversifying imports, estimating the volume of imports needed for each commodity, stronger testing of imported commodities, "integrating" imports with reserves, and improving the registration and monitoring of imports. China's Minister of Agriculture made similar comments in his recent discourse on sustainable agricultural development. The Minister said, "We don't oppose imports." Rather, he said, the key is to better regulate to flow of imports and exports to optimize the development of domestic production and domestic industries. Theo Spierings, the chief executive of New Zealand's Fonterra, which collects and sells most of the country's milk, said China is very serious about developing its own supply of milk. But Spierings said he doesn't believe China will be able to produce enough on its own to meet the rising demand, and there will still be a place for foreign suppliers. Will the Chinese squeeze fonterra? Is this what we can expect from SFF? Interestingly enough Danone in South Otago have policy that under no circumstances are suppliers to use PKE.They pay their suppliers more than $1.50 a kg MS than Fonterra monthly. the “Bonlac Agreement”, which extends until 2019 and commits Fonterra to paying its Australian suppliers a price that equals or betters the dominant processor. Then again Danone Nutricia says it would have to consider leaving New Zealand in favour of countries with more suitable raw milk markets if dairy regulations are removed. So a 5 minute wonder in NZ dairy or simply the French being typically French and 'throwing the toys out of the cot'?